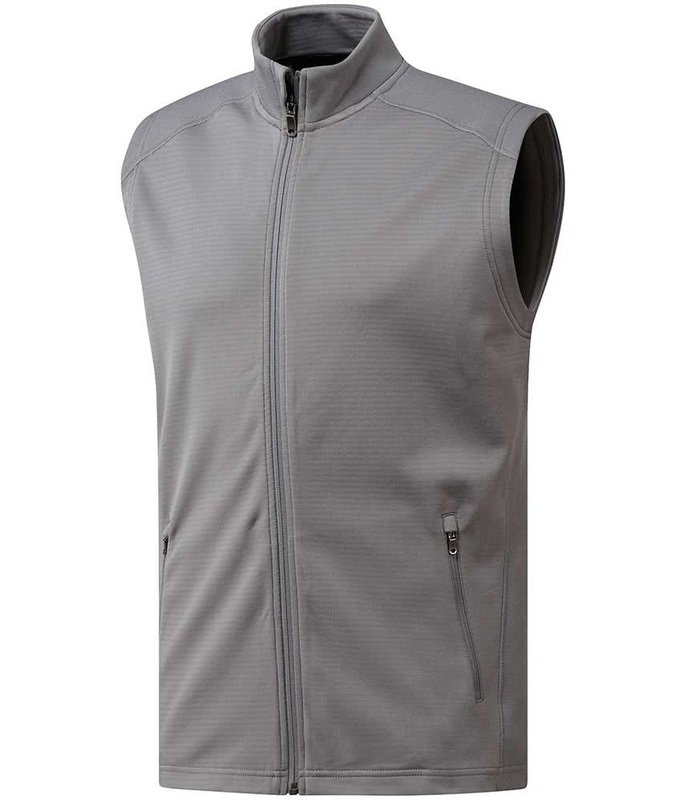 The adidas climawarm Vest has been engineered to deliver warmth and comfort whilst out on the course in cold weather. To provide the perfect adidas have used a lightweight, stretch fabric that will enhance your movement and mobility when wearing this extra layer. The climawarm technology that is integrated into the fabric will help provide essential warmth. The nature of this fabric will allow you to wear as either an over or under top depending on the weather conditions. A drop tail hem and full zip mock design has been used to provide extra coverage while two zippered hand pockets provide perfect storage for your smaller accessories. Climawarm keeps you warm and dry in cold weather. Full zip with mock neck. Droptail hem for extra coverage. adidas Badge of Sport on back neck. 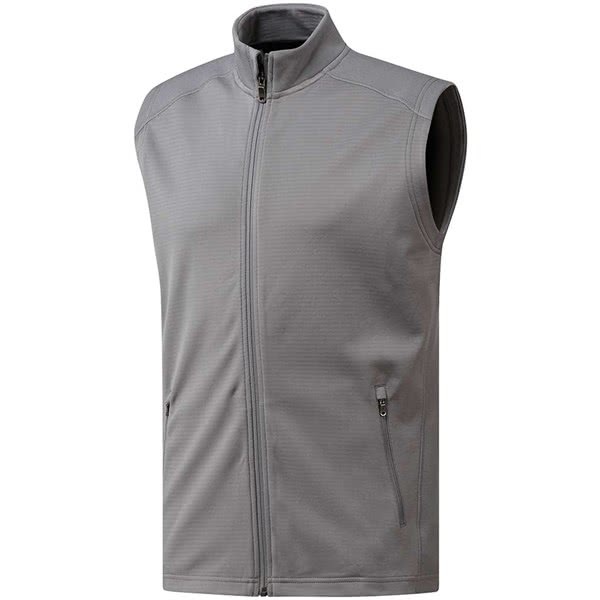 Regular fit Front: 85% polyester / 15% elastane tricot; Back: 100% polyester fleece.